If you didn’t believe in magic before, you will now. Watch Olwethu, The Glamipulator spread magic through the schools of Khayelitsha. Believing magic was related to witchcraft, Dyantyi’s parents had their reservations. A lack of understanding meant that many people were afraid and wary of magicians. Eager to become one anyway, Dyantyi started attending the College of Magic, an NPO in Cape Town that uses magic for social empowerment. He was only 12 at the time. As Dyantyi’s family learnt more about the skill behind the illusions, they began to support his interest. Since graduating in 2009, Dyantyi has taken magic all around the world – even performing in Las Vegas. 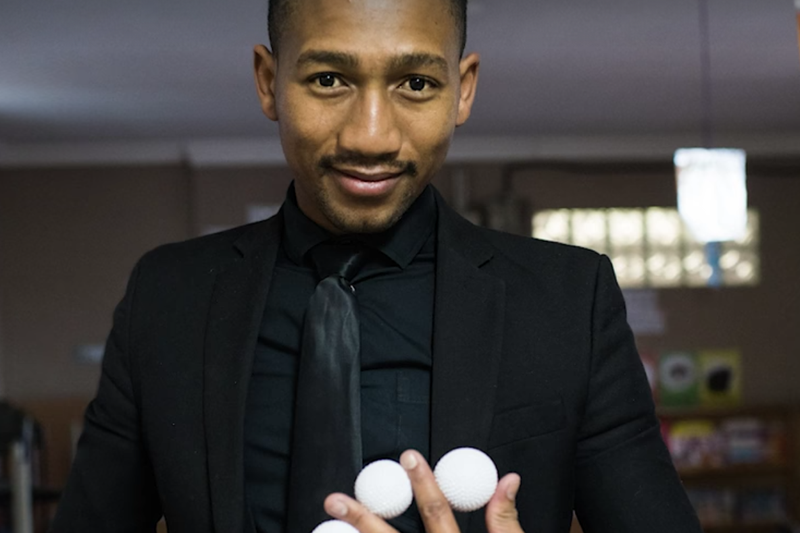 Dyantyi also made it to the finals of South Africa’s Got Talent in 2013, and received the title of South African Grand Prix Magic Champion at the 2015 South African Magic Championships. His success isn’t a trick, but rather the result of sheer hard work and an inexhaustible love for what he does.